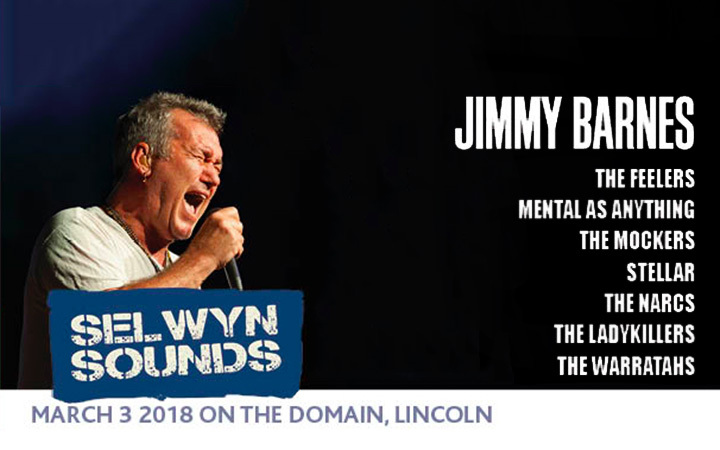 Australian rock ‘n roll legend, Jimmy Barnes, is set to head a stellar cast of Kiwi music legends when Selwyn Sounds returns to the Lincoln Domain on March 3rd next year. The Cold Chisel frontman and bestselling author will be joined by The Feelers, Mental as Anything, Stellar, The Mockers, The Narcs, The Lady Killers (Tina Cross, Jackie Clarke and Suzanne Lynch) and The Warratahs. 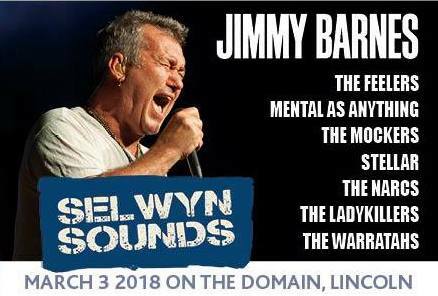 Organiser and Lincoln resident David Parlane said the line-up is sensational and he is excited to have secured such a world class act to headline the show. David Parlane and partner Craig Bradford organised the first Selwyn Sounds music festival this year because they knew what a great venue Lincoln Domain would be, and they wanted to bring together some of Australasia’s best acts in one place. It was a vision that paid off, when more than 7500 packed into Lincoln Domain for the inaugural concert in March. “This year’s concert was so well received we’re still getting positive feedback now, months after the event. So we had to do it again – and make sure next year’s event was even bigger and better!” He said. Mr Parlane said the organisers had learnt from the last event and will be making sure amenities are top notch and that every possible step is taken to ensure everyone has a great time. A limited number of early bird tickets tickets for Selwyn Sounds are available on Ticketek now and tickets will go on sale to the General Public on Wednesday 5 July, 10am local time. You can secure yours by clicking here.